Over the past forty years, the Burgundians have reached out to Oregon and New Zealand Pinot Noir producers, but have largely shunned California Pinot Noir wineries. A wave of Burgundian vintners has flocked to Oregon, offering their expertise as consultants and investing in winery and vineyard ownership. In New Zealand, the Central Otago Burgundy Exchange has proven to be a successful vintner exchange in recent years, and Australia is looking to set up the same type of program. Bordeaux has been chummy with Napa Valley, and recently auctioned off many large formats to raise money for Napa to assist in that region’s recovery efforts from last October’s disastrous fires. Historically, Oregon has had a close relationship with Burgundy, with Oregonians spending considerable time working and studying in Burgundy as far back as the early 1960s beginning with David Lett and Charles Coury. Oregon winemakers have readily embraced the people and culture of Burgundy, while California has been more aloof. In addition, California is known for Cabernet Sauvignon and the Burgundians profess no love for Cabernet Sauvignon or the Bordelaise. Oregon and New Zealand are more Pinot-centric and the lifestyle of these two regions is more akin to Burgundy. Oregon maintains stricter regulations regarding wine labelling. In California, if a wine label lists a general appellation such as California, at least 75% of the wine must be produced from grapes grown in the place named, and at least 85% if the label lists a specific American AVA such as Anderson Valley. 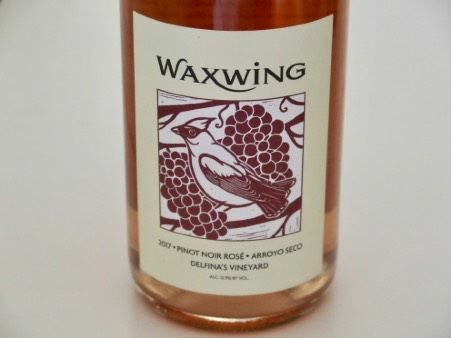 In Oregon, if the label claims “Oregon,” an Oregon county, or an Oregon appellation wholly within Oregon, 100% of the grapes must be from Oregon and 95% from that appellation of origin. Some Burgundy vignerons have been outspoken critics of California Pinot Noir, discounting the Pinot Noir wines on the basis of their frequent higher alcohols, significant ripeness and extraction, and generous oak bearing. Try putting a California Pinot Noir in a French Burgundy wine tasting, and you will most likely find the wine being snubbed. It’s a French thing. There are a few Frenchmen who have made inroads in California. Aubert de Villaine of Burgundy’s Domaine de la Romanée-Conti created a partnership with Larry Hyde of Hyde Vineyards in Carneros, but this venture, called HdV, is centered on Chardonnay and a Merlot-Cabernet blend. Jean-Charles Boisset resides in California and has acquired DeLoach and Buena Vista, both notable producers of Pinot Noir. Claude Koeberle co-founded Soliste, a producer of Sonoma Coast Pinot Noir profiled in the previous issue of the PinotFile. There are a few French ex-patriots successfully making Pinot Noir in California, including Luc Morlet (Morlet Family Vineyards and Cabaud Wines) and Nicholas Morlet (Peter Michael), Jerome Chery (Saintsbury and Fog Crest Vineyard), and Arnaud Weyrich (Roederer Estate). There are numerous California winemakers who have spent time in Burgundy to work and learn, and they embrace Burgundy and its winemaking techniques and tradition more than vice-versa. As a result, the California Pinot Noir renaissance has simply progressed along a different path than Oregon. Perhaps iconic winemaker Burt Williams of Williams Selyem, who never set foot in Burgundy, yet whose wines were highly respected by the Burgundians, set a precedent for California. All that posturing discussion aside, look to the many top-notch recently released California Pinot Noir wines reviewed in this issue. 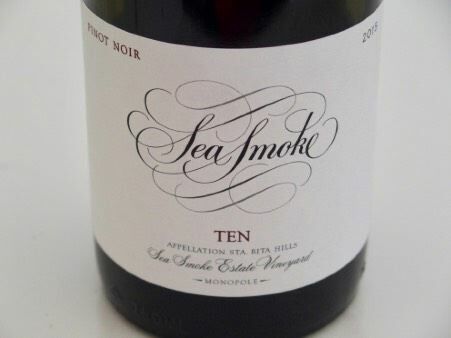 Not all is joyous in California Pinot land, however, as some Pinot Noir wines are more a beverage than wines driven by a clear vision, seemingly produced to appeal to the mainstream consumer’s love of oak, ripe fruit and sweetness. These fruit-driven wines lack distinction, aromatic joy and deliver little nuance. David Hejl has been crafting Pinot Noir since 2010. He was the former General Manager and CEO of Kosta Browne Winery. The Domaine Della Winery was co-founded with his sister and brother-in-law and the name, Domaine Della, honors David’s mother, Della Winifred Dale. The inaugural releases were from the 2012 vintage. The wines have a resemblance to those from Kosta Browne in style. Visit www.domainedella.com. Winemaker Dan Goldfield sources from wide-ranging exotic vineyard sites, all with a special character. The 2015 vintage wines are concentrated yet lively due to bright acidities. The wines are aged in 50% new French oak giving them a noticeable, but in most cases, compatible influence. 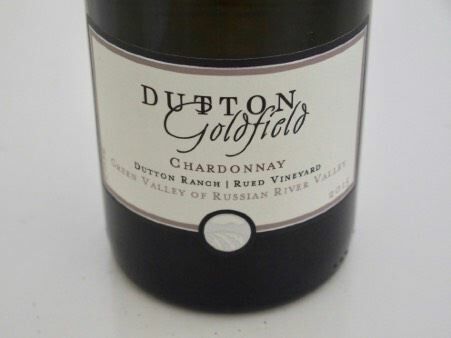 The wines from Dutton-Goldfield are giving them a noticeable, but in most cases, compatible influence. The wines from Dutton-Goldfield are consistently of the highest quality and scores are largely irrelevant. Visit www.duttongoldfield.com. The 2016 Pinot Noirs are not dainty wines but beautifully crafted in this style, featuring plenty of fruit yet elegant in composure. Each single-vineyard bottling is distinct with only a mild winemaking imprint. The only facet of Fulcrum wines that I don't like is the labelling. The On Point labels, however, are striking. Fulcrum will be hosting a Celebration of Spring on Saturday, April 21, for the email list and club members. A few 2016 wines will be poured. RSVP at tasting@fulcrumwines.com. Winemaker Theresa Heredia maintains the style of wine featured by Gary Farrell, who founded this winery. Typically, the wines are acid-driven and perhaps even more so in the 2015 vintage. The result is that the wines have an uncommon freshness and vibrancy as well as food affinity. Tasting by appointment in a newly remodeled hospitality center. A standard for Russian River Valley Pinot Noir and Chardonnay. Visit the winery’s website at www.garyfarrellwinery.com. After an impressive debut with the 2014 vintage, and a minuscule production from Riddle Vineyard in 2015, the winery is back on track with the two 2016 offerings. The wines are in such limited quantities that they are only sold by allocation to members of the mailing list. Visit www.hibouwine.com. Master winemaker Ken Brown continues to craft magnificent wines that represent the nadir of offerings from the Central Coast. 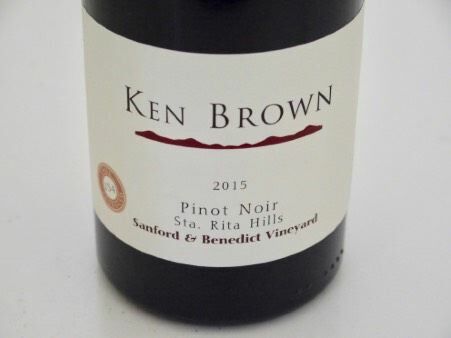 Ultra premium is an appropriate description of the small lot Ken Brown Pinot Noir and Chardonnay wines that I have reviewed through the years. For more information, visit www.kenbrownwines.com. 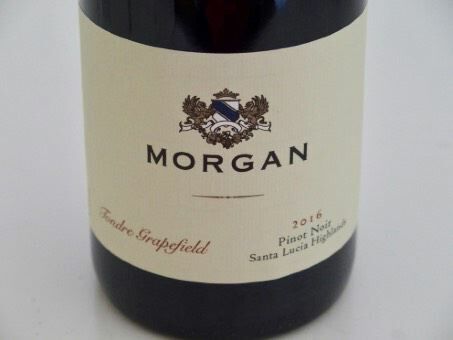 Dan Morgan knew of the potential of the area long before the Santa Lucia Highlands became an official AVA. By 1996, Dan and Donna Lee purchased and planted a 65-acre property of the newly named Santa Lucia Highlands. It was here that they established the Double L Vineyard (Double Luck, in honor of their twin daughters). Today, the organically certified Double L Vineyard is one of the most famed winegrowing properties in the Santa Lucia Highlands, boasting 20 different clones on 8 different rootstocks. The spring and summer of 2016 were mild with no extreme heat or cold periods. No rain in the fall resulted in clean fruit harvested in mid-September. Read more at www.morganwinery.com. 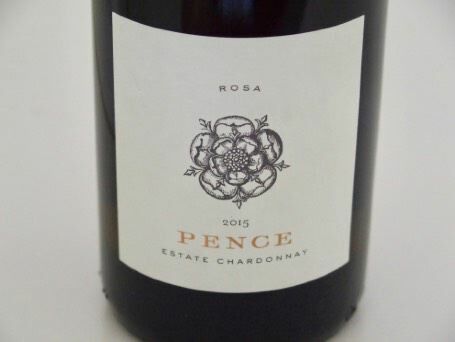 Pence Ranch is evolving with the vineyard moving to 100% organic farming, the hiring of Sashi Moorman as the winemaker, the increasing familiarity with the vineyard by vineyard manager Francisco Ramirez, and a continued investment in winery equipment including large concrete tanks for fermentation. The wines are 100% estate grown from 19 acres of Pinot Noir, 10 acres of Chardonnay, 3 acres of Gamay and 3 acres of Syrah. Vines were first planted in 2005. Soils are rich clay that is different than most Sta. Rita Hills vineyards except those on the hills. Red wines are fermented in 4-ton concrete fermenters instead of stainless steel tanks commonly used, all wines are native yeast fermented and there are no additions of water, acid or enzymes. Stem inclusion in the red wines is variable and depends on the vintage. French oak barrels are used exclusively for ageing with the percentage of new oak dependent on the wine. The Chardonnays are barrel fermented (puncheons) with complete malolactic fermentation, and ageing on the lees without stirring. Owner Blair Pence has established a unique working ranch providing sustenance for all involved in the project. Estate grown consumables are produced to complement the range of wines and reinforce the connection of food and wine. Plan to visit the Pence Vineyards, Winery and Ranch in the eastern Sta. Rita Hills for private tours and tastings by appointment: www.penceranch.com. 2015 was a very low yielding vintage. Because of extremely low yields and dry conditions, the 2015 Rhys Pinot Noirs are very intense and concentrated. The result is that the wines are tight and not forthcoming yet. These three latest releases require decanting if opened now, but should receive further bottle age. Rhys Vineyards wines are sold exclusively through a mailing list at www.rhysvineyards.com. 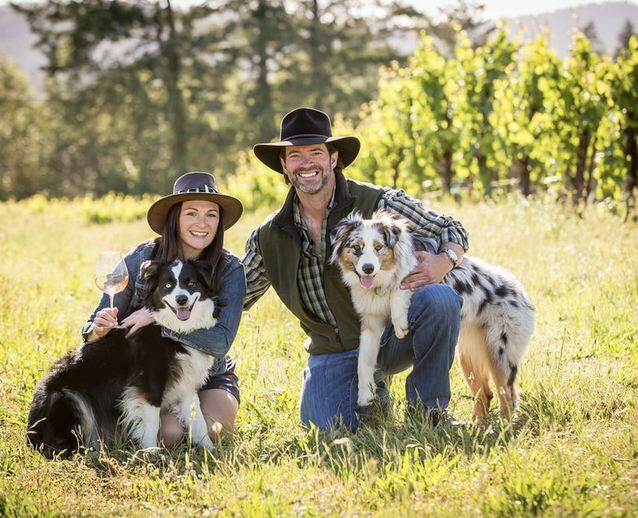 Satyre (“suh-tir”) Wines is the creation of the winemaker (aka the “goat,” Ted Weisser) and the sommelier (aka “the girl,” Nicole Kosta), in love with their life in West Sonoma County, and inspired by the wines of the world. The Satyr is a mythical woodland creature, half man and half goat, who indulged in the great vices of the world, namely wine, dancing and music. Satyrs were companions to Dionysius, God of Wine. The two wines reviewed here were from the winery’s first official vintage. Consulting winemaker is Jeff Restel. Partners in the venture are Blake and Lisa Everett. 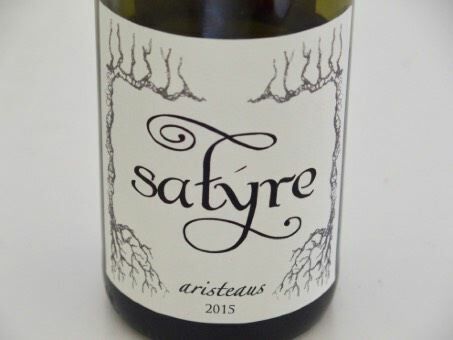 Visit www.satyrewines.com. San Francisco’s first fully-functional urban winery. Winemaker Bryan Kane. www.winery-sf.com. One of the oldest wineries in the Napa Valley, Tulocay Wines was founded in 1974 by Bill Cadman. He has crafted a unique Coombsville (Haynes Vineyard) Pinot Noir since the winery’s beginning. 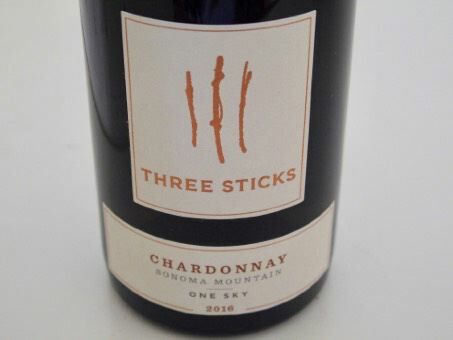 Bill has never submitted his wines for review (purchased these two out of curiosity and prices reflect that), but his wines have won many medals in California wine competitions. Since 2017, a considerable portion of winery operations has been assumed by Bill’s youngest daughter, Brie. Tasting by appointment. Visit www.tulocay.com. Mi Sueño Winery in Napa Valley was founded by Rolando and Lorena Herrera. Beginning in the 1980s, Rolando worked his way up from a harvest laborer to cellar master, and eventually produced wine under his own label in 1997 starting with a Napa Valley Chardonnay. It was the same year that he married Lorena. The winery name was fittingly Spanish for “My Dream.” The first vintages sold out quickly and they were living their dream. In 2003, Rolando founded Herrera Vineyard Management, allowing him to control the farming as well as winemaking.